Standing out in stark relief against the other mostly banal stuff on TV these days Sannata continues to gain strength with every episode. What I am enjoying here is the way director Kashif Nisar is narrating writer Saji Gul’s well-knit script. Though I am annoyed by the FB spoilers, giving away the plot line of the first half, the unexpected twists and turns, smooth segueways between the past and present, and strong performances by the talented cast have kept me hooked so far. Picking from episode 4, where I had last left off, now that Pari is all grown up and Ruqqaiya more of a friend than a mother, the equation between the two women has begun to change ever so subtly. Azam’s arrival into this predominantly female household marked a pivotal moment in the story. With a charming, easy going man in the house, quite unlike the sullen, dour women in her family, Ruqqaiya cannot help but become painfully aware of Pari’s impending womanhood and her own advancing age, seeing Pari as a rival rather than a daughter. Though Azam has indicated his interest in her, but watching him fooling around with Pari in the gardens of their dilapidated haveli, she cannot but wonder about Azam’s true intentions. Why is he going to this trouble on Pari’s behalf? Is he genuine in his efforts to help her, or does he have other ulterior motives? As for Pari, she too finds herself attracted to Azam; hidden under all the playful banter and the name calling are some serious sparks of attraction. But then she is unlike other girls of her age; far from being a carefree teenager, Pari’s shoulders are weighed down under the strain of her mother’s wrongdoing. This immense psychological pressure manifests itself in form of epileptic fits, the symptoms of which are read variously by the ladies of the household. It is on one of these cure-finding trips to the dargah that Pari attracts the attention of the dholwala, who sees Pari as a manifestation of all that he ever desired. Where and how the dholwala’s attraction plays out in Pari’s life is still a question mark. The most interesting and unexpected twist so far has to be the look back into Naseeban’s memories. Beautifully interwoven into the narrative of the present, this glimpse into the past has me intrigued. Who was that man?? I can’t wait to see how he fits into Naseeban’s life and what happens to him eventually – is he still alive in the present? I loved the air of mystery and suspense created around the haunted tree by the director and his DOP, Rashid Abbas. Quite often when we are introduced to characters in our serials, it is as if they have sprung out of nowhere, thankfully though, this is so not the case here. I am thoroughly enjoying how each and every character here has a story to tell. What is great here that each background story is told in a different way. We’ve heard Ruqqaiya’s recounting, and now we are seeing Naseeban’s past unfold. It is almost as if every character is standing outside of themselves narrating their story, looking inside from the outside, if you will. In terms of execution, Kashif Nisar is doing an excellent job breathing life into Saji Gul’s script. The DOP deserves special praise for his camerawork. Saba, Sajal and Danish are giving a good account of themselves. Sajal in particular has been very good so far. I do wish though that she learns to go easy with her makeup and excessive backcombing of her hair. Yumna Zaidi’s appearance was a pleasant surprise. While these actors are good, it is the seniors who are shining here. Simi Raheal’s appearance was an absolute treat. Watching her, Samina Ahmed, Nadia Afgan, Adnan Shah Tipu, and Nargis Rasheed, I could not help but be reminded of our classic dramas, which were less concerned with the bells and whistles and focused more on the nitty gritty – writing, directing and acting. A loud shout out to the producers and the team of Sannata for going against the prevailing norm and bringing us quality entertainment. Sannata is far much better than Numm. Why don’t you give a review about it every week? I am waiting for your review about episode 8. Besides, Ruqqaiya awareness of Paris womanhood is the cause and her jealousy is the subsequent consequence. @Saji Gul: Welcome to the blog 🙂 Thanks for sharing this link! Matam aik aisay serials main say hai jin main aik taraf to muashray ki haqeeqat dikhayi gayi hai or dusri taraf khul kar ye paigham bhi diya gaya hai keh duniya main doob kar mazalam na dhaye jayein kiyonkay “char dina mela duniya, phair miti di tayri”. Is lehas say Matam ka message baharhal Sannata say behtar hai. I came across it started watching it pretty interesting. Mind you not one to watch on your own if you get a bit scared. Back to Pari’s look how a girl who is meant to living in an ultra conservative household be allowed to look like that even indoors or is it to make her look like a daain. Also the frankness between pari n azam is strange but I am enjoying it. true about this one not being the for the weak of heart .. That hand coming out behind the tree was pretty scary, no! And Im still not sure if that guy was real or just a figment of her imagination, since her friend said she hadnt seen anything .. what do you think? I’m not sure what clothes you are referring to, but I had found the sleeveless shirts that the younger Pari was wearing completely out of character. And yesm Azam and Pari’s nok jhok does seem to be out of place, but I think the two can get away with it b/c nobody takes Pari seriously as a grown girl/woman, its only Ruqqaiya who seems to be frowning about their openness. Even that I wonder if she would have noticed, were it not for the fact that she herself was interested in Azam..
Talking the make up on pari. I would have thought they would br harder on her due to hwr mother’s behaviour. It is keeping me hooked. More precisely it is the bad behaviour of Paris grandmother whereby she is constantly conveying her guilty conscious that expresses itself in epilepsy. I feel the air mystery and suspense is quite unpleasant. After every episode I need to watch a comedy play to cheer myself up. To me it doesn’t seem as if everyone is narrating his story. For me it is clearly and only Ruqqaiya who is entitled to it. Yes, I agree Sajal is indeed doing well. Thanks to Azam Ruqqaiyas mother will change herself as well. The more I come to know about Azam the more I hate him. Sometimes he seems personification of hurricane that destroys each and everything that gets in its way. Azam is destroying not only the relationship between Pari and Ruqqaiya, but between Ruqqaiyas mother and grandmother as well. Easy come, easy go. As he comes, so will he has to leave. We already know this. Just watched the latest installment.. and wow!! now watching it in light of the asal matlab of poem (thanks to @Saji), it made me look at things differently. Ill save the rest of my observations for @SZ’s next post on sannata..
@Sofia I was thinking of ur perception of Azam and how you don’t like this character. I feel his heart is in good place. i guess he’s a breath of fresh air for the haveli, not only for the two girls, but also for all the farsooda soch. He’s indeed an ambassodor for change…and ”change” is not such a straight forward thing!! ..change means alot of adjustments.. Although u feel he’s responsible for destroying various relationships in the haveli, I personally feel its quite the opposite. I think the strain between R’s mother’s & grandmother’s relationship is to do with the chingari of bi jamalo madam sultana, (the so called match-maker)..remember she is the one who made Salma feel that Amma bi doesnt want R to get married etc.. I feel Azam helped Salma get out of her shell..he made her feel that she has a right to find happiness, and she knows her happiness is indeed R’s happiness (whether Salma is going right way around to find R’s happiness, im not so sure.. then again she is Allah mian ki gai! ), but it is this realization that has brought this maan beti close to each other.. something R has been longing for all her life! As for Pari and R’s relationship..it’s the most unusual relationship indeed.. i feel Azam wants the two of them (especially Pari) to realize that they are two individual beings. It may seem like that he’s destroying the relationship, but i feel he is actually trying to fix it.. bringing it some kind of norm. I don’t want to say much here, but i thought the takraar in the latest episode explained this so beautifully! @Saji Gul have to say..absolutely loved it! Sannata has a heart breaking kind of painful story which is obviously not suitable for weak hearts. Nevertheless my curiosity forces me to watch it. Since it is in narrative form, we already know the ending. Azam is just playing with Pari, a game of you “the patient” and me “the psychiatrist”. He is not less childish than Pari. He is foolish enough not to realize that his attention and remedies can be easily misunderstood as love. He is quasi “the one and only” good looking guy whom both girls came across in their life. The more I watch it, the more I feel sorry for Pari. Azam could be interested in her if she were polite. Ruqqaiya has totally spoiled her. She has not even taught her how she should behave towards a man and that she should suppose to keep distance. In the course of next episode Ruqqaiya will change from a nanny to a rival. No wonder that both are getting involved in him. Sometimes it almost seems as if Pari is only a doll for Ruqqaiya. The get up of the old ladies ( incl. wig) looks quite artificial. Their dialogues delivery isn’t good either. It sounds somehow put on. Besides, this serial is full of Shirk which is one of the biggest sins. Therefore, I would rather call it “the Mushrakeen”. sofia, i have tried my best to ans ur this view ”shirk” at Dramasonline.pk.. I don’t think that Paris “impending womanhood” is an issue for Ruqqaiya. She is just jealous because she is in love with him. @Sofia: What I was trying to say here was ke up until then Pari was nothing more than a child for Ruqqaiya, a doll as you aptly put it but with Azam’s arrival and his growing closeness with Pari, whatever the reasons for that might be, she has now started seein Pari in a new light . a girl who is not yet a woman/unaware of herself, but yet womanly enough to attract Azam’s attraction … and yes, once that realization sets in Ruqqaiya is def jealous .. and this change is shown very beautifully and Saba was fab in those scenes! I need to watch at least two more episodes in order to realize how far your interpretation is correct. @SZ I know I said I wont be following this one and might gulp it all in one go once its finished.. but I must admit, i found myself catching up with Sannta every week. infact i was really disappointed when they didnt air the new episode last week.. I was delighted to see ur review, and waited to catch up on the latest installment before commenting here. As i mentioned before, i wasnt too impressed in the beginnning and had lost my interest once the dian mystery was unravelled.. but i feel this one is getting stronger and stronger each week now. And i absolutely loved the latest installment. loving the Naseeban’s track! it was seeing her almost looking out for someone at the dargah scene that said to me there is something more and perhaps it was that that kept me coming back..I like a bit of mystery unravelling from the past, and i was so glad to see that they wont keep it all in until the last episode! cant wait to find out more about her story and the man with the ”roshan” eyes! loving loving loving the camera work!! absolutely beautiful! seemin raheel.. what a pleasant surprise!!! .. btw did they tell us that azam has a half sister? who is that? i thought she couldn’t bear children thats why the mamoon jan got remarried? the najma naseeban dialogue about muskan and focus on Azam’s was so beautiful..i thought the whole muskan and dard all related to ruqaiyya and azam is thinking abt her all that time..
and it was nice to see saba’s narration again this week..
@sofia totally agree with u abt the shirk.. but i just tend to ignore that track.. aik kan se suno doosre se nikal do lol.. but the sad fact is that these things do happen and it is reflection of our society. what was the shart ruqaiyya was referring to last week? i couldnt find any reference to any bet? did i miss something? re sajjal: i mentioned before she aint someone who impresses me much.. although shes perfect for the role here, i just have one question.. why does she ”always” go for these demented type roles? she has that chhaap on her now! why is it that our directors/producers dont like experimenting with giving new roles to our actors? agar aik role mein hit ho jai koi to permanent chhaap hi lag jaati hai and the viewers are forced to see them in the same type for next 10 years.. this bher chaal/ rutt thingee is so annying! @SZ anyway sajjal or no sajjal, im well & truly hooked on this one now.. thanks to the Naeeban track and a much bigger thank you to you for u recommending it in the first place! thanks alot! Yes, I know, it often happens in our society, but since it is wrong, I need to point it out. However, I appreciate that the producer is truly reflecting it. I am so much impressed by Sajals acting that I didn’t even notice her manicured nails. Sajals has never disappointed me. However, you are right that she is receiving the same roles in most of her serials. @Sofia: I realy liked Sajal in Mastana Mahi, which I think one of her very early serials, after that she started appearing in almost other serial which turned me off of her .. but I am liking her a lot here! 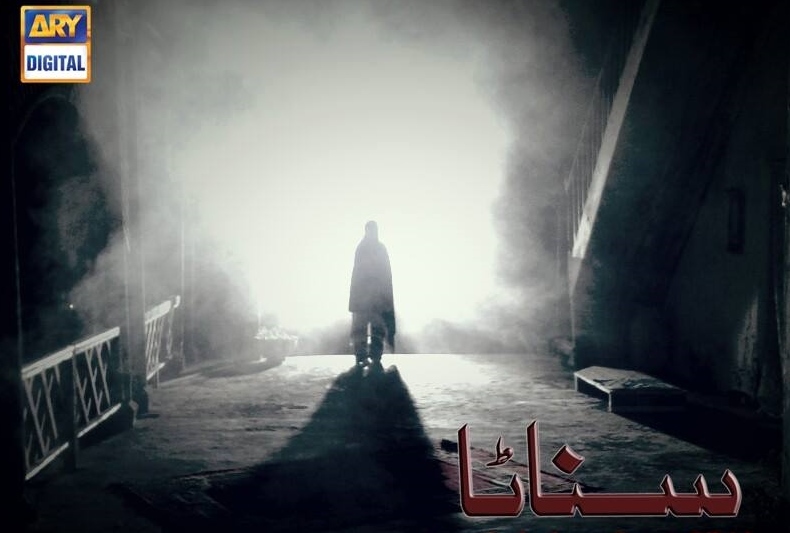 This was Sajal’s first serial.. Mastaana Mahi..
oh btw i was waiting for azam to mimic ruqaiyya too..
and the poem in the last episode, what were the two faces he was referring to? and the bata hua fard? was it ruqayyia’s personality bati hui between herself and pari, or pari’s personality bati hui like that? or the two girls? and what was pari’s dream/kaifiat she was referring to in the last episode? i couldnt quite catch that? @Sz yay!! defo – has so much content for discussion… its always so much more fun watching when followed by ur review and the discussion. aww.. it will b great to hear it from Saji! oh btw all the extras acted so much better than all the namoonoun ki fauj in numm..
@Saji Gul So good to hear from you, joining in our discussion here, & thanks alot for answering our queries! I agree that a good screen narrative should be self-explanatory,.. and over all Sannata is doing pretty well so far on that front. We, on this forum do like to go a bit OTT with the baat ki khaal and all lol.. But thanks alot for explaining in such detail. Ok!! that explains R’s almost worried expression towards the end of the poem and perhaps that is whats sown in the seed for the jelousy… but the muskan & dard still refer to R right? Looking back at it now, it can be applicable to Pari or even everyone else jo iss khawab ki bhool bholayyon mein rehtey hain? @Saji Gul OK that has put everything into a new perspective for me.. interesting!! “uss des ka sooraj sard hai” Nice poem! Why not “sard sa hai”? The poem as well as the serial sounds melancholic, pessimistic and gloomy. Don’t you think that our society needs pessimism? How can he see her as Ruqqaiyas reflection since both girls do not resemble each other? They are almost two opposites. “I myself am an observer.” You mean that you are just reciting the predominating conditions of our society. Even if you are just quoting them, at the same time you are intentionally or unintentionally giving the viewers clear or hidden messages. Thus, you are influencing the public opinion. My view point is that amongst others one of Sannatas messages is morally reprehensible; Yes, shirk is being romanticized in Sannata. I cannot appreciate that approach of romanticizing sins and crimes in serials. Might give this one a go!! You guys seem hooked! I was also wondering about pyare Afzal! The promos looked rather nice. I am trying so many serials and then just leaving them, so sad!!! Don’t get the I’m hooked feeling with anything these days. I also started ranjishey hi sahi which was rather interesting but only seen two episodes, wondering how long thAt will keep me interested!! Like I mentioned to SZ am so desperate am going back to old dramas !! Was re watching Daam the other day , what brilliance!! If you look at those people who are living in myths you are referring at, you will realize that their majority is not well educated. However, hardships and difficulties of life can make even an educated person superstitious. It depends what spiritual support you are referring at. If you mean God and His Angles than the days are over when it was rationally inexplicable. Thanks SZ, for reviewing Sannata. This is the only show I am following after Talkhiyan and absolutely in love with!!! This story is skilfully woven with shades of sufi spirit. The direction is also near perfect where each character is a picture of pureness of emotion with Ruqiya’s chilling narration. I am keen to know more about her relationship with Pari especially after the visit to the shrink….the promos suggest it is obsession but I wish there is another angle to it….something forbidden maybe….I hope Pari is not made a villain in the end because we have to keep in mind that epilepsy is a neurological disorder. Over all, the Sannata team has worked very hard on the script, the location taking care of the technical aspects….except for the cultural representation at times….i.e. Naseeban’s past!…. where the younger Naseeban (i yamna zaidi) is doing justice to her role… speaks softly and is poised in her demeanour like a classic village girl…but what happened to the family and friends?! ?…they are too loud for the sensibilities of people from the villages of UP back in the days of our grandparents. Anyway, the subplot needs further exploration to know how it connects to main story. @Saima: hey!!! Great to hear from you 🙂 So glad to have you onboard with this one… will look forwad to your take on this latest ep.. so much to talk about!